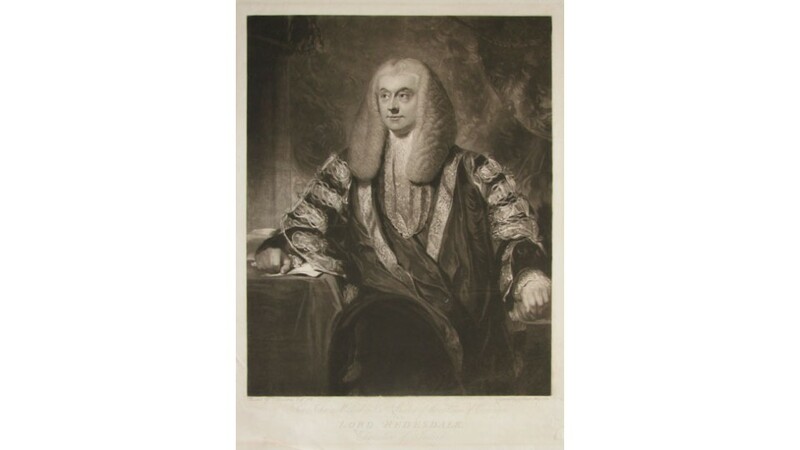 John Freeman-Mitford, 1st Baron Redesdale (1748-1830), Speaker of the House of Commons. 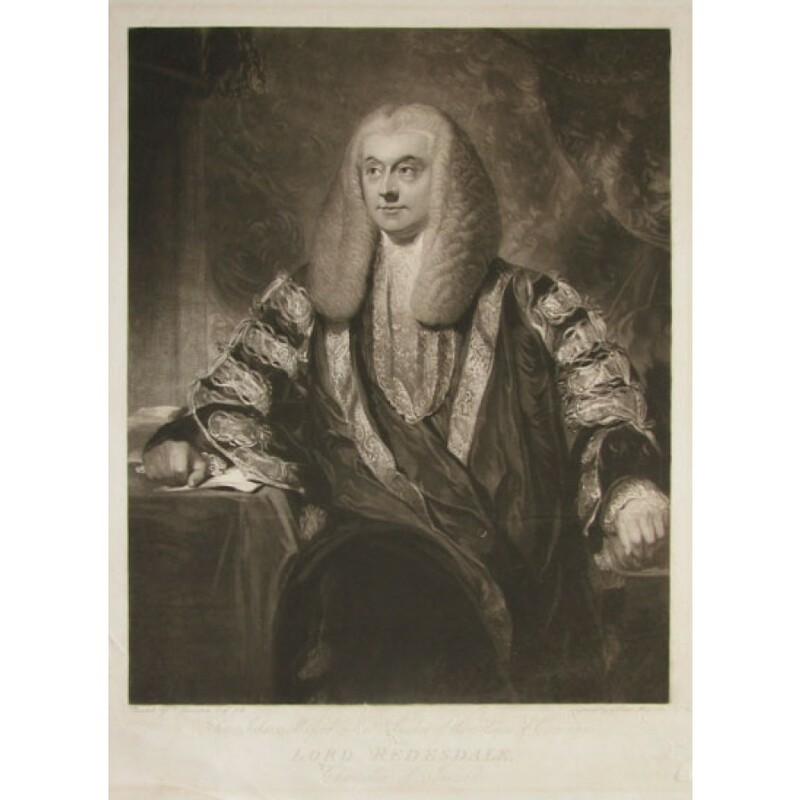 Having become a barrister in 1777, John Mitford rapidly acquired a large legal practice. He entered Parliament as an MP in 1788, and in 1791, he introduced the bill for the relief of Roman Catholics, which was passed into law. In 1793, Mitford was appointed Solicitor General, becoming Attorney General six years later. 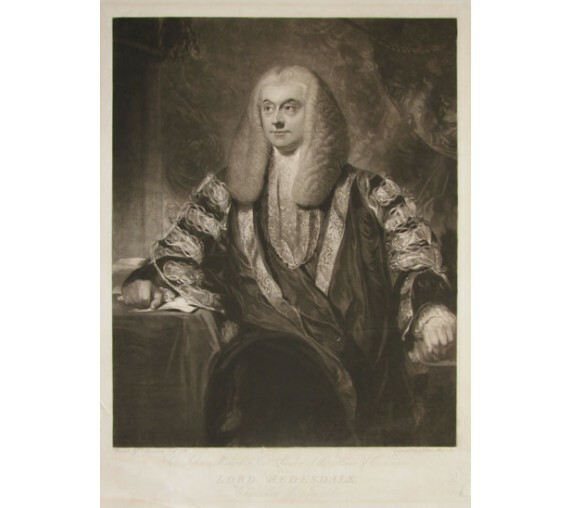 He was made Speaker of the House in 1801, but the following year he was raised to the House of Lords as Baron Redesdale and was sent to Ireland as Lord Chancellor. Being an outspoken opponent of Roman Catholic emancipation, Redesdale was unpopular in Ireland and he was recalled to London in 1806. He took the additional name of Freeman in 1809 on succeeding to the estates of Thomas Edwards Freeman. A couple of marginal breaks, one faint horizontal crease, barely noticeable.